Meditation can be beneficial for all individuals who may experience stress, anxiety, and other emotional or physical ailments. It can mean different things to different people. Meditation is considered a type of mind-body experience. Meditation can be done without assistance and it doesn’t need to be adapted in any way. It’s universal. Meditation allows you to build an awareness and endurance of your focus that benefits many aspects of life. It can improve sleep quality, increase relationship satisfaction, lower stress and symptoms of anxiety. Stress is one of the most common reasons people will try meditation. The effects of stress include disrupting sleep, promoting depression and anxiety, increased blood pressure and may contribute to fatigue and cloudy thinking. Anxiety is another common reason for starting meditation. Habitual mediation can help reduce anxiety and anxiety-related mental health issues. One example of a meditative practice is mindfulness. This encourages focusing on attention and awareness training. It can have positive effects on one’s mental and physical wellbeing. Mindfulness can teach you how to be aware of what is happening in the present. It has been proven to be a healthy and effective way to manage daily stress impact one’s overall happiness. Buddhist meditation is another example. 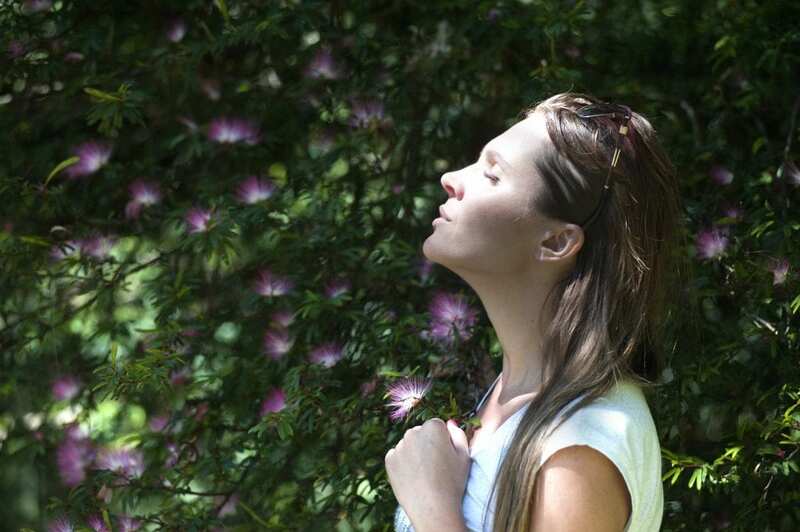 Its most basic form focuses on paying attention to the way you breathe. Start by sitting up straight with your back erect. Hold your head upright but not rigidly. You can either close your eyes, look down at your hands, or even focus on a spot a few feet ahead of you. If you feel yourself getting sleepy, open your eyes. When you first start meditating, keep count of your breaths as you exhale up to 10. Once you reach 10, start over at 1. Breath slow and regularly, not forced or artificially. Being fully aware of your breathing can help improve your awareness and take control during moments of stress and anxiousness. If you find yourself getting distracted by your own thoughts or your surroundings, then you should acknowledge them but don’t attach to them. This encourages self-awareness and enhances focus control. There are many resources and videos online that can help you learn breathing and meditation techniques, some specifically designed for wheelchair users. 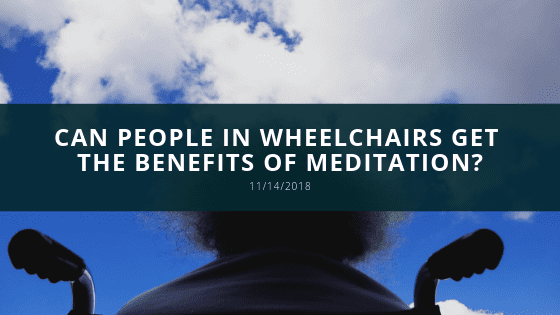 Some techniques and practices may need to be adjusted but people in wheelchairs can get the benefits of meditation.